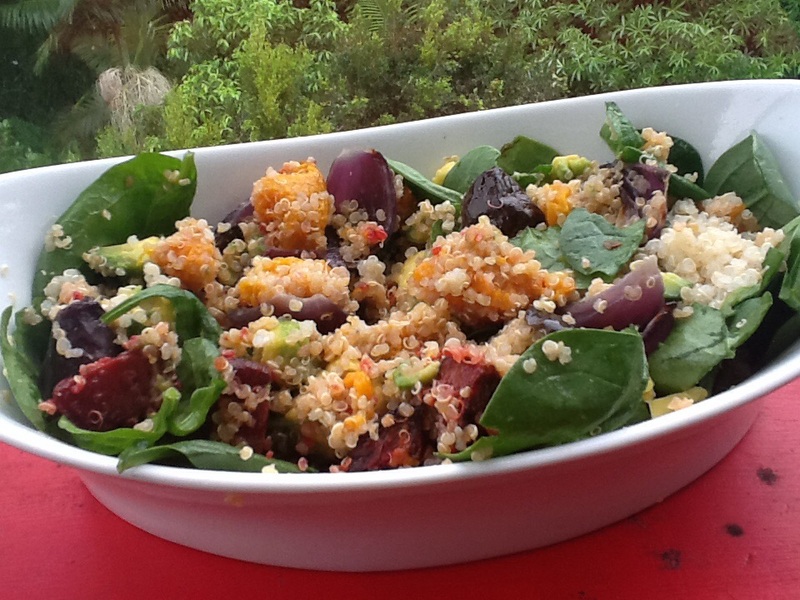 This is such a versatile salad as you can use your left over roast vegetables. 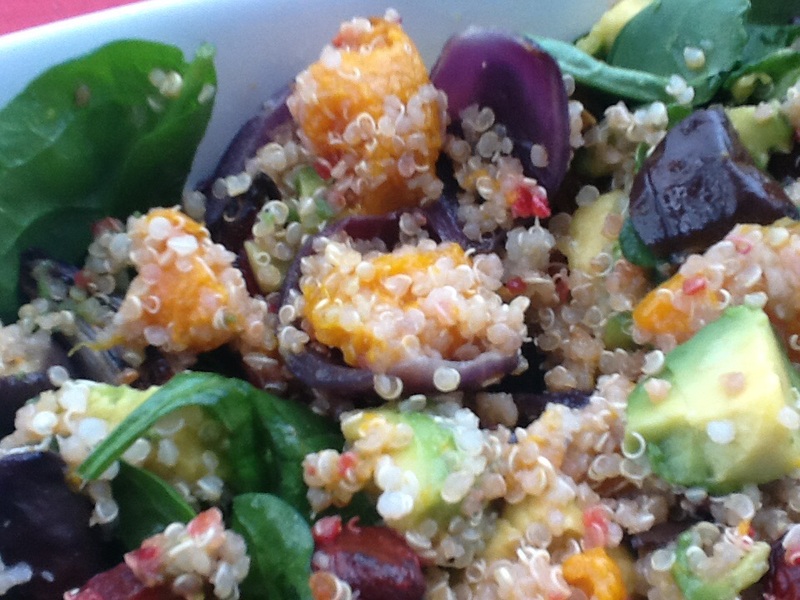 Quinoa can last for days in the fridge so make up a huge batch and have a different quinoa salad each night. 1. Cut beetroot, pumpkin and eggplant into small cubes. Add the red onions and coat all of these with oil and roast for 20 minutes. 2. Add cheery tomatoes to roasting tray and cook for 5 more minutes or until all cooked. 3. When vegetables cooled mix in quinoa and spinach. 4. 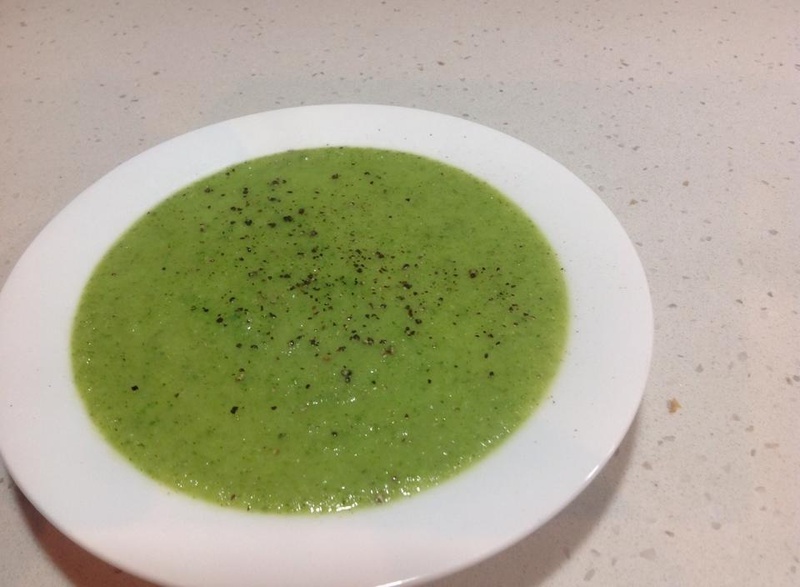 Mix the dressing ingredients in a bowl and pour over salad just before eating. 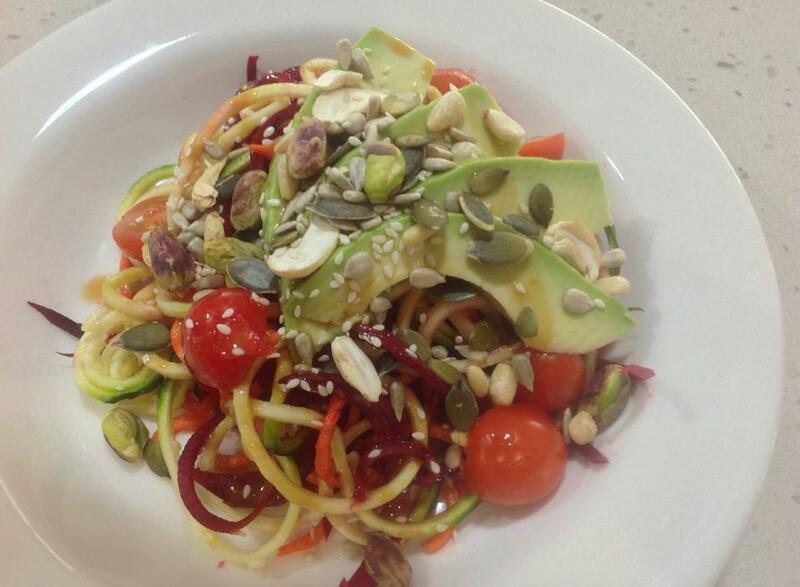 Zucchini and Beetroot Salad with a special seedy sprinkle! With the weather heating up it is definitely salad season. 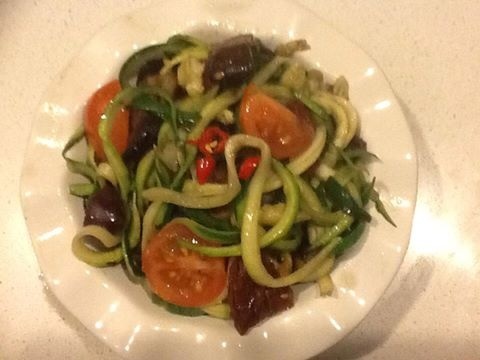 I made a lovely raw salad with spiralized beetroot, carrot and zucchini. I added halved cherry tomatoes and avocado,sprinkled it with a nut/seed mix ( cashews, sesame seeds, pistachios, pepitas and sunflower seeds). 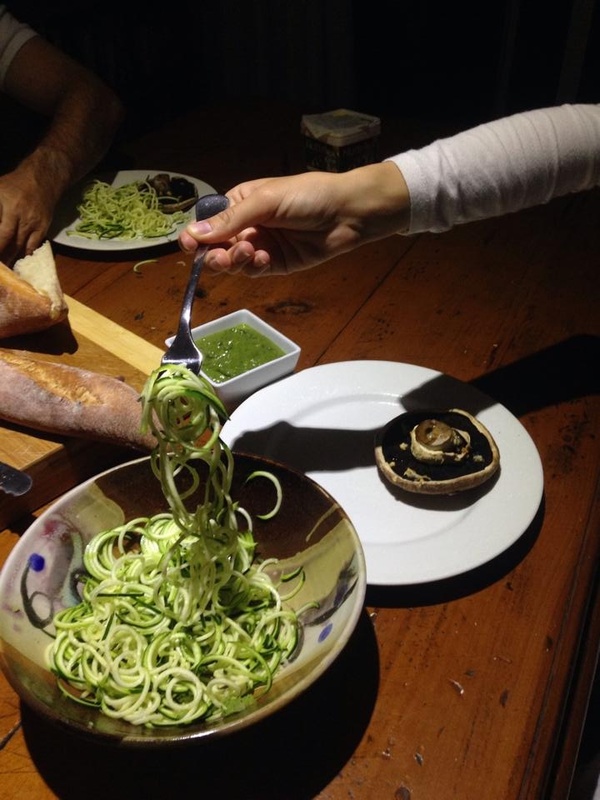 The dressing was a combination of tamari, olive oil and tahini. If you have never tried these then it is a must! 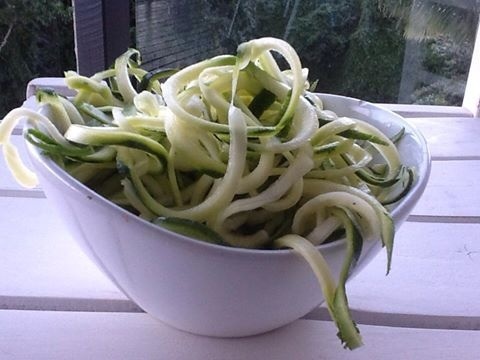 Make your zuchinni noodles either using a grater or a Spiralizer. 1-2 zuchinnis per person. 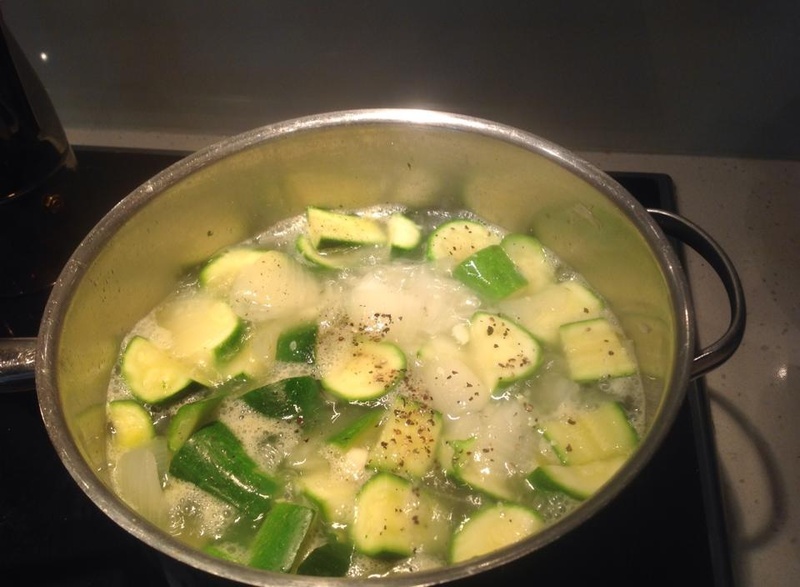 Linda posted her zuchinni noodles dinner. Looks so scrumptious. Thanks for sharing. 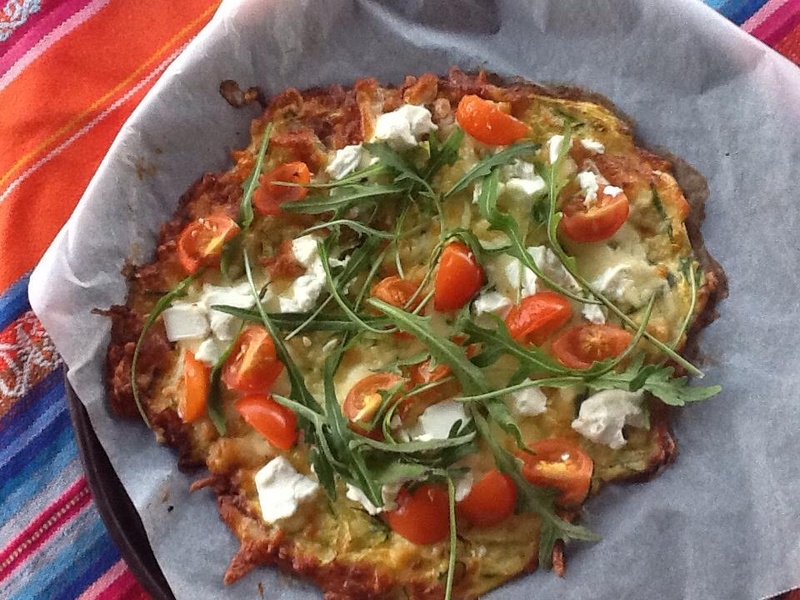 I have to admit this is one of favourite “pizza” recipes. I know I have posted once before, but couldn’t resist re-posting tonight’s dinner as depending on the topping it is almost a brand new creation. mix all crust ingredients, spread onto tray. Cook for 15-20 mins. Then add topping and cook for 10 more minutes.